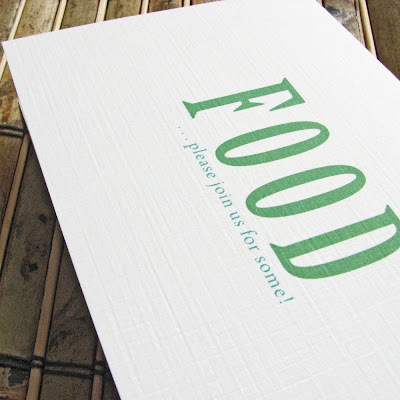 GIVEAWAY: PinkLillyPress FOOD note cards with envelopes. While setting up this giveaway I kept going back to the PinkLillyPress store to browse through her cards. Gosh, I love paper so dang much I could practically eat it. Before being blog obsessed I was scrapbook obsessed. The scrapbook craze has died down due to lack of time. It used to take me hours to make one layout. Lame, I know! So when I feel like I need to get my hands on some paper I make cards instead. However, when I feel like I need to get my hands on some paper but have absolutely no time to make cards than I go on line and look at these pretty things and hope that the shipping comes in real soon. 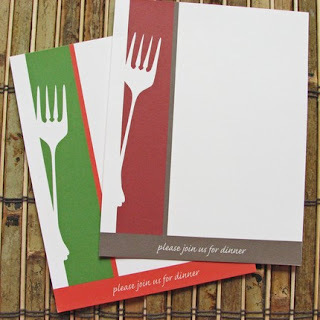 PinkLillyPress is giving away a set of 10 FOOD invitations. These are perfect for Holiday dinner parties. To enter the giveaway just visit PinkLillyPress and look through her products. Come back here by Tuesday November 11 and tell which cards or stationary tickles your fancy. 4-tell me that you VOTED TODAY!!! I don't need to know who you voted for but I would like to know that you VOTED. 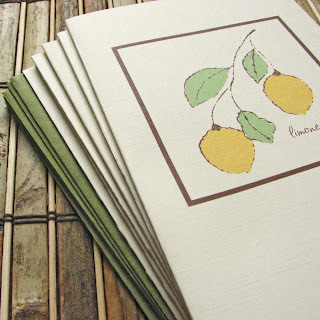 I really like the bird on a branch flat notecards (set of 8). I honestly adore the food cards - I think they're awesome! Yay, Damaris! 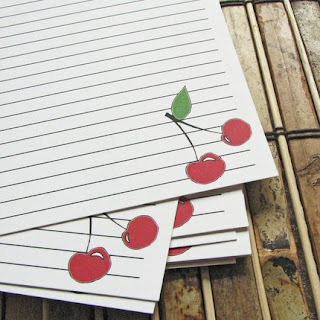 We must have similar taste because I loooove the cherry recipe cards! I love the "bird on a branch" flat note card set of 8!! very cute!! and simple. perfect for ANY occasion! 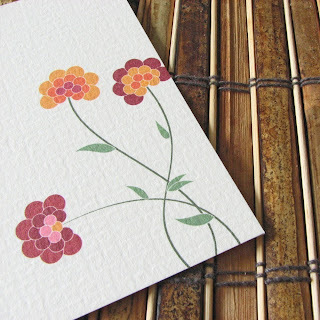 I love the Cactus Dahlia Folded Notecards--so pretty! I do #1-3 and I did #4 today! The bird on a branch flat note cards are very nice. They are all so cute, how can I choose? I voted yesterday! Yahoo!! The bird ones are super cute and I like the food ones too! I like the bird on a branch. i love the personalized chandelier cards, so cute! I love the Orchid notecards, you cannot go wrong with flowers. 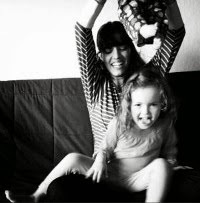 I love the:Jacob Baby Announcement (boy or girl) they are adorable..and would love to buy them for my sis who is pregnant :) Thanks for the contest. 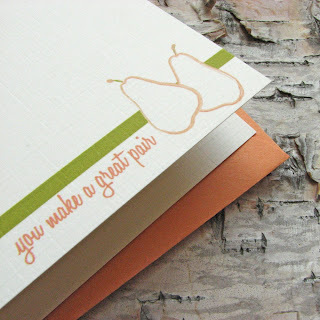 The Pumpkin Patch Note cards are very nice. The Hummingbird Flat Notecards are beautiful!! I like the Cherry recipe cards! The "Falling Leaves" Place Cards are one of my favorite items from her site! She makes a lot of lovely stationery goodies. Please enter me in your fabulous giveaway drawing. My favorite is the Blushing Daisy 'To Love and To Cherish' Greeting Card! Damask Party Invitation (Set of 10) is my favorite! I like the Pumpkin patch cards. I love the Damask Party Invitations. Classy! I love the Calla Lily Garden Wedding Invitation!